This season I caught the performances of two theatre and ten dance companies out of 16 performing groups. Hopefully I will be able to summarise those of exceptional merit with enough precision that you might be inspired to see them should they pass through wherever you are. While other Russian theatre groups, Akhe Group, Do Theatre and Derevo, on previous rosters at the SFIAF, have used very effective yet elaborate scenery and props, Liquid Theatre has a modern stripped-down esthetic. Wearing office attire and carrying clipboards, they restrict the props to several reams of paper and their shoes. This is the best physical theatre – no fancy rigging or set, just the performers’ bodies and some great ideas about how to use them. Their unpretentious human-ness and humor made for a very satisfying performance. The roots of flamenco in the San Francisco Bay area began in North Beach at the Cuervo Room in the Old Spaghetti Factory. From 1958 till 1983 countless local musicians and dancers mixed with a constant stream of esteemed flamenco artists from Spain. The Bay area is now home to the largest flamenco community outside of Spain. At first I was a bit wary of this homage to the founders of this historic venue, but as these revered elders took the stage, it became instantly apparent that most of them still could project the intense passion of their art even when their bodies were forced to limit what once was equally fiery. Yaelisa, the daughter of Isa Mura who was one of the originals relates her childhood memories of being there and how such an incubator inspired her to become the artist she is today. What could have been maudlin nostalgia instead was a deeply touching tribute to those who laid the foundation and also a glimpse into the present-day flamenco that has been built on that legacy. The SFIAF has made a point of bringing Cuban performers almost every year and for good reason. The percussionists’ complex African-based rhythms coupled with the dancers’ exuberant presence and syncopated movement is truly exhilarating for the audience which is never inhibited about vocally expressing their approval. In 1975 Juan de Dios Ramos Morejon founded Raices Profundas which is one of the most authentic performing ensembles of Cuban music and dance. This program shows first the roots of these two art forms in Yoruba traditions, then how these influenced the evolution of popular music and dance with the Cha-Cha-Cha, Salsa, and Rumba. Mansaku Nomura of Mansaku-no Kai. © Bob Hsiang. 600-year-old Kyogen, along with Kabuki, Noh and Bunraku, is one of the four classical forms of Japanese theatre. Akin to commedia dell’arte, it is easily accessible and draws an audience across the lines of age, gender and class. This performance reflected the meticulous detail of all Japanese theatre; precisely refined movement, clear enunciation of the dialogue (there were also supertitles), exquisite costumes and an elegantly simple set. Company director Mansaku Nomura, now 80 years old, is deservedly a Living National Treasure of Japan, as confirmed by his touching rendition of a blind man who enjoys the sounds of the surrounding insects since he cannot see the full moon. AXIS Dance Company, based across the Bay in Oakland has been one of my favorite troupes for the past 14 years, It combines both disabled and able-bodied dancers (like Candoco in the UK) and beginning in 2000 has commissioned work from noted choreographers such as Bill T. Jones, David Dorfman, Stephen Petronio and Joe Goode. I saw Marc Brew’s Full of Words when it premiered last fall and was extremely impressed, both with the choreography and the dancers. Unlike most of the other guest choreographers, Brew is disabled and unlike most disabled dancers who discover dance after they become disabled, he was a professional ballet dancer before the car accident that left him in a wheelchair. This time around the smaller stage made the logistics more difficult, but the dancers managed give very moving performances in this piece that tells the stories of three separate couples as they define their relationships through movement. AXIS Dance Company will perform on June 6 at Herbst Theater, San Francisco, CA and on June 24 at the Teitelbaum Family Center for the Arts, Los Gatos, CA. Both an excerpt from Nocturne, a duet for Brew and Daniela B. Larsen, and Remember When, a solo for Brew, were performed with such a sense of immediancy and emotional engagement that I was deeply moved. Brew is also an astute choreographer putting as much thought into the small details as the overall composition. inkBoat, a performance company using butoh dance as one of its components, was started in 1998 by Shinichi Iova-Koga. I have been to many of their productions and have been very impressed by the combination of music, movement/dance and scenic elements (sets, lighting, costumes, video) into a unified whole. This show is no exception. 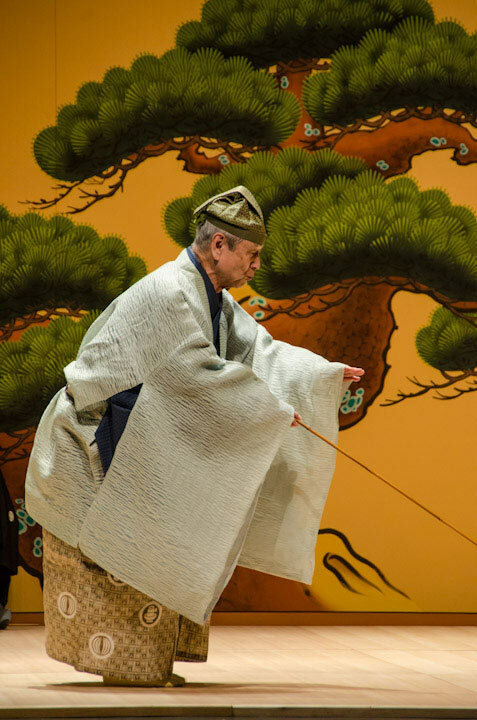 I saw The Crazy Cloud Collection in 2010 at this festival when it premiered and was blown away by Ko Murobushi, who trained and performed with Hijikata, the father of butoh. His powerful stage presence dwarfed all the other performers despite their being accomplished in other contexts. This time around in a different venue I still felt the same way, though to be fair, the others were stronger than two years ago. FInnish choreographer Susanna Leinonen’s Chinese Objects is a fascinating work for two women. Costumed in “robotic remnants” (imagine 3CPO as a homeless android who has been living on the street for a long time), the two dancers are like insects emerging from cocoons, discovering new ways to move. While one of the dancers seems to be in a magnetic force field created by the other, her movement takes on new dimensions. Wonderfully fluid and nuanced dancing by Natasha Lommi and Elina Häyrynen. Susanna Leinonen Company will perform on June 2-4 at the Seattle International Dance Festival in Seattle, WA. Fortunately This Is What We Do in WInter has the warm human aspect of being an international collloration between the American choreographer Cid Pearlman and a group of Estonian dancers. I found Jonathan Segal’s original score of 1960s-sounding folk-influenced music tedious and saccharine. It did match much of the repetitious dancing, however. Definitely this piece was out of its league sandwiched between Susanna Leinonen Company and Post:Ballet, but would have been welcome on a university dance line-up. Mine is Yours, created by Robert Dekkers, director of Post:Ballet, certainly deserved the enthusiastic applause of the crowd. Beautiful dancing, particularly by the sole male, Domenico Luciano, and Ashley Flanner, in conjunction with a quirky and intriguing choreographic voice made an alluring work that drew the viewer in. It evoked a peculiar ambiance as if The Cage by Jerome Robbins were superimposed over Balanchine’s Apollo, one man and three women at times moving like creatures from another planet. .
Post:Ballet will perform on July 20-21 at the Herbst Theater, San Francisco, CA. Dance Elixir’s director, Leya Mona Tawil, choreographed Thieves to a soundscape created in real time by Dutch music designer Lars J. Brouwer and is an extremely uneven endeavour. At times the music/sound was so shrill and loud that my companion and I both had to cover our ears to prevent damage. The actual choreography had little interesting material, and that little was continually recycled. The good news is that Jeremiah Crank danced it with great presence and technical ability. Not since I saw the Whirling Dervishes of Damascus have I experienced such an utterly mesmerising and transcendent performance in the modern vein as when I saw Compagnie 7273. 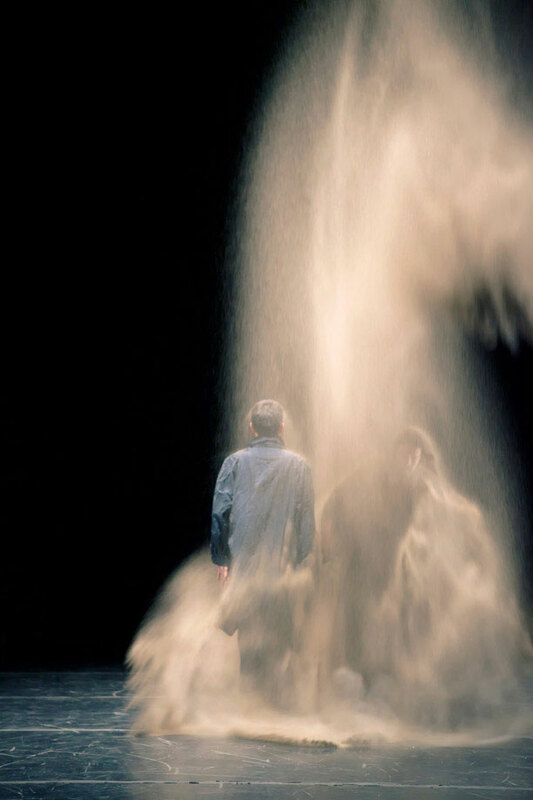 Listen & Watch is a revisiting of this company’s Climax (2006), a forty minute solo performed in silence. In the new version, live music improvised by Sir Richard Bishop on acoustic guitar was added and the area for movement was mostly restricted to a spot approximately one meter square to the musician’s left. But the dancing is not improvised; every move is choreographed. Nicolas Cantillon executes the endless combinations of steps seamlessly like a snake slithering along the sand, or a bird soaring among the clouds. He never plays to the audience, but he focuses inward as would a Sufi. Absolutely transformative. Compagnie 7273 will perform on May 25-26 at the Temescal Arts Center in Oakland, CA, May 28 and 30 at Conduit Dance, Portland, OR and June1-3 at the Seattle International Dance Festival, Seattle, WA.